The former solicitor general said that Justice Joseph was "part and parcel" of the institution and it was not clear what he meant by "remote control". 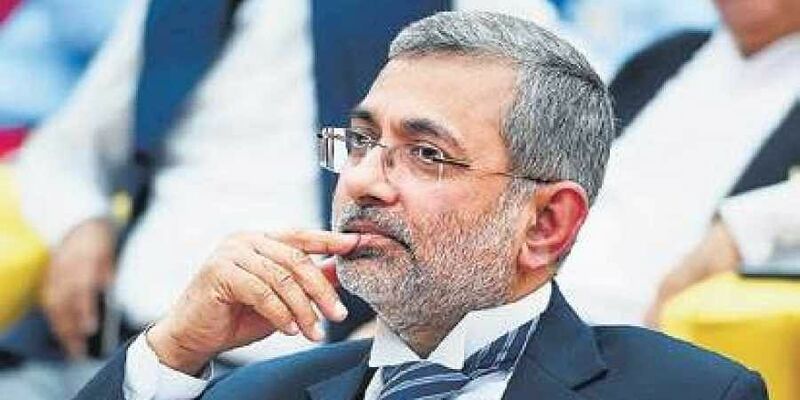 NEW DELHI: A former Chief Justice of India on Monday said it is for Justice Kurian Joseph to come out with the basis on which he has levelled serious allegations against former Chief Justice of India Dipak Misra that he was being "remote controlled" by some external source. His views were shared by former solicitor general Mohan Parasaran who, while terming the allegations of Justice Joseph as serious, said the retired judge should also come out with the basis on which he had made such statements after his retirement. "He has to come out with evidence. I am not concerned about x,y or z. I am concerned about the institution. I have great respect for Justice Joseph. As the thing is over, the Chief Justice knows what to do, he is a disciplinarian and will take a corrective action," Parasaran said. The former CJI said the statements made by the individual do not mean that entire institution has crumbled. "It is not like entire institution has come under clout. This institution had very eminent and independent judges who had stood up to any pressure. Those judges would never cow down to any kind of pressure to anybody. I have faith in this institution," he said. "When it comes to testing times, judges stand up or withstand the pressure. It's not like that. There may be some aberrations within the system but saying like the entire system has collapsed or crumbled is not correct," he said. "It is Justice Kurian, the other three judges or ex-CJI Misra, who can educate the people in the country as what exactly happened and what were the implications. I would not like to comment on this issue," he said. The ex-CJI said that he has not said anything nor he will like to say anything on the issue. "Now the debate is going on. Let it happen. One day or other the things come out in the open", he said and added that it was for Justice Joseph to tell about who was the remote control or to whom he was referring to. "You should ask him about which remote control he is talking about. It's journalists work to cross examine anybody", he said. "Listen, I don't want to get into this thing. I just want to keep away from this controversy. I have turned my back. I am happy in my own little world," he added. On the question that as a former Chief Justice of India has he ever heard of any such remote control thing. "I can't say anything. No one remote controlled me nor anyone dared to remote control me. I cannot comment anything on others being remote controlled or controlled for whatever reasons", he said, adding, "If anyone was being remote controlled, he is accountable to himself". On the question that under his tenure, did he ever hear of such influence being exercised, the former CJI said, "It's not about my tenure. Nobody said that it was under my tenure. He referred to Justice Misra's time, You cannot dig the history from 1948 and say it did not happen under so and so tenure. He has pointed out to justice Misra. You should ask him. If he will talk about my tenure, then I will give a statement on this". "He will come out more clearly as to what are external sources he was talking about and that would be beneficial for the institution," the senior lawyer said. Terming it as very serious charge, the senior lawyer said that nothing of this sort was heard previously.